>Blog>Does Rick Simpson Oil Actually Work? Does Rick Simpson Oil Actually Work? Rick Simpson has made history with his cannabis oil, but his claims are disputed by the medical community. Who should we trust? And what do we know about Rick Simpson Oil? Many argue that outdated legislation has held back modern medicine from using cannabis oil effectively. Is Rick Simpson Oil ahead of its time, or are there warranted risks to the advocation of its “cancer-curing” abilities? Rick Simpson Oil (RSO) is the result of one man's experience using cannabis to treat skin cancer. Rick, after seeing a documentary on the medical benefits of marijuana, decided to take matters into his own hands. The result marked a lightbulb moment for Rick, who has since proclaimed that cannabis could cure cancer. Given the pain and duress that cancer causes, attributing weed with cancer-curing abilities is a momentous proclamation, even for seasoned smokers who have felt its effects. Bridging the gap between Rick’s own experience and the ability to help people living with cancer the world over is not impossible. It does, however, bring about the argument: how valid are anecdotal accounts versus medical trials? Should the two work side-by-side or does one take precedence over the other? With lives potentially in the balance, the answer remains a complicated topic. If you don’t know what RSO is or have never heard of Rick’s experience, allow us to rewind the clock. 1997 saw Rick, working as an engineer at the time, experience an accident that would leave him with constant headaches and tinnitus. Despite numerous trips to the doctor, prescription medicine offered no resolve. One evening, Rick would watch a documentary on the health-boosting properties of cannabis. After being refused cannabis-based treatment by his doctors, he sourced his own. Rick claims the results were significant, reducing his symptoms when over the counter medication had previously failed. With a newfound faith in the healing potential of cannabis, he would once again call upon its powers when he was diagnosed with skin cancer in 2003. Recent research shows that cannabis can effectively treat chronic pain. Pain is a medical condition that's often underestimated. WHAT MAKES RICK SIMPSON OIL DIFFERENT? Doctors confirmed through a biopsy that Rick had basal cell carcinoma, a form of skin cancer. Having had previous experience with cannabis and after reading a study from the Journal of the National Cancer Institute, Rick once again chose to use marijuana to treat his condition. Using a form of extraction to create cannabis oil, he applied his creation to the bandage covering the skin cancer. Four days later, the cancerous growths had disappeared. Despite this revelation, doctors still refused to acknowledge the healing power of cannabis, of which Rick was now a complete convert. Rick’s cannabis oil is different from what we generally see on the market because it is laden with THC. Cannabis oils have seen a surge in use, and the market is growing rapidly. This is, however, a result of the cannabinoid CBD. CBD has shown great promise for a variety of ailments, with scientific support from a large number of preliminary studies. The most significant difference is that CBD does not carry the same psychoactive side effects as THC. By consuming a cannabis oil rich in active THC, you still experience the feeling of being high. Cannabis is still mostly illegal across the world, and as such, making your own RSO carries many risks. 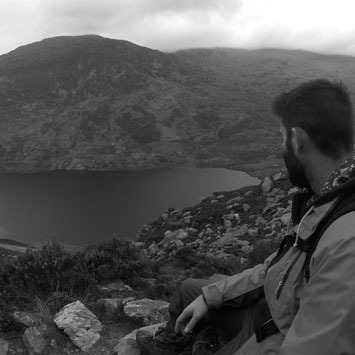 Rick’s story is bound to resonate with people all over the globe who have cancer. Faced with this challenging condition, conventional treatments often involve radiotherapy and chemotherapy, both of which take a substantial toll on the body. In some cases, side effects from chemotherapy can be extreme and leave lasting damage. This is a point that sparks passionate debate between Rick and medical professionals. The discoveries experienced by Rick are currently not supported by conclusive medical studies. The study Rick read as inspiration explored how THC, CBD, and CBN could be used to halt cancer cells from spreading. Since then, there have been further clinical trials that have contradicted the results. 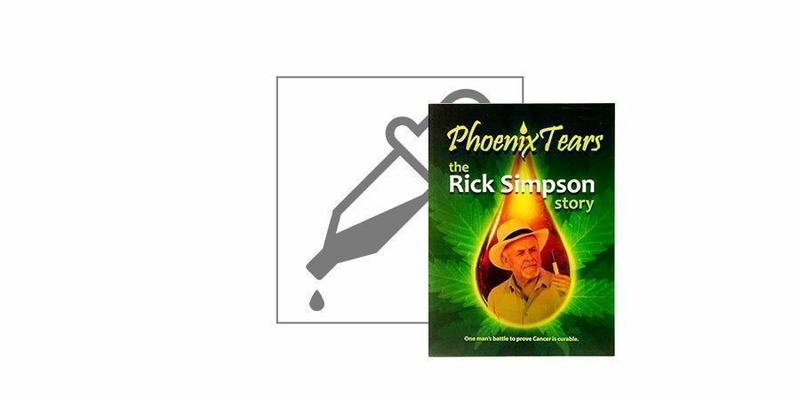 Furthermore, in Rick’s book Phoenix Tears - The Rick Simpson Story, there is some encouragement for those living with cancer to forgo conventional treatments in favour of using cannabis oil. This particular notion has received backlash from numerous medical professionals. Frustrations have been bubbling, finally culminating in an open letter written to Rick by the Spanish Observatory on Medical Cannabis and released by Dr Franjo Grotenhermen. The letter outlines what Dr Grotenhermen and his associates see as Rick acting irresponsibly for promoting his oil’s healing properties. In Dr Grotenhermen’s opinion, Ricks views are “exaggerating promise of healing that do not stand up to factual examination”. He goes on to advise against the risk of going off standard treatments like chemotherapy and radiotherapy. Any delay in treatment is substantial in reducing its effectiveness against cancer. The doctor's argument is grounded in the notion that any cannabis used for medicinal purposes should undergo strict safety checks, with dosage catered to the individual and their relative condition. It may be less a case of who to believe and more a matter of looking at the topic subjectively. Rick used cannabis oil to heal a form of cancer he was suffering from. In that statement alone, there are hundreds of variables that could make the results incredibly different from person to person. Rick effectively stating that cannabis oil can be used to treat all cancers is a huge leap from his personal experience. Encouraging users to make their own cannabis oil also throws up so many more variables, not to mention safety risks. Some methods of extraction involve dangerous solvents like butane. Aside from the threat of fires or explosions, if the process is not followed correctly, these chemicals can contaminate the oil. Some chemicals used in cannabis oil extraction are considered carcinogens. Having said all of that, modern medicine has not been anywhere near progressive enough in pursuing this line of enquiry. There are thousands of anecdotal reports attributing cannabis with healing specific conditions. Given that research has also produced conflicting results, the need for further studies seems obvious. Unfortunately, as a result of the negative stigma attached to cannabis and the illicit nature of the substance, research grants are often blocked or prohibited altogether. If other users can confirm Rick’s testimony, should we wait for the bureaucracy surrounding cannabis to wane and modern medicine to catch up? ARE ANECDOTAL REVIEWS JUST AS IMPORTANT? Because modern medicine is bound by an archaic approach to cannabis, are we not instead forced to draw upon anecdotal accounts? Dr Grotenhermen and other health professionals may be right in their view of advising people not to delay conventional treatment, but is he not achieving the same outcome by advising against the use of cannabis oil? If the experiences provided by Rick and those who have adopted his methods hold some ground, then cannabis could be the defining factor in the treatment of some cancer patients. Delaying therapy with cannabis achieves the same result as denying conventional treatment methods. The difference is the ability to quantify a specific outcome with therapies like radiotherapy or chemotherapy, whereas there are still too many unknown variables with cannabis oil treatment. No matter which side of the fence you sit, there are critical points for the advocation of RSO. As Dr Grotenhermen points out, there is also a considerable gap between cannabis curing cancer and it being scientifically proven to cure cancer. Based on preliminary studies and what we know about cannabinoids, it is entirely feasible that cannabis could be used effectively in cancer treatment. If you combine that research with the vast spectrum of anecdotal accounts, the argument looks even more compelling. If anything can be learned from Rick’s venture, it’s that immense healing potential could be right under our noses, but outdated legislation tars cannabis with the same brush. While medical health professionals err on the side of caution, they do so understandably because of the potential risk to public health. Both Rick and medical professionals should put their knowledge and understanding into pushing for further testing with comprehensive control measures. This will be the only way to truly define the capabilities of cannabis. For the time being, people who have cancer will be using RSO in a medically untested capacity. Whether that ends positively or not remains to be seen.